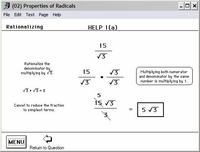 Learn the real number system by categorizing sets of numbers into rational numbers, irrational numbers, integers, whole numbers, and imaginary numbers. 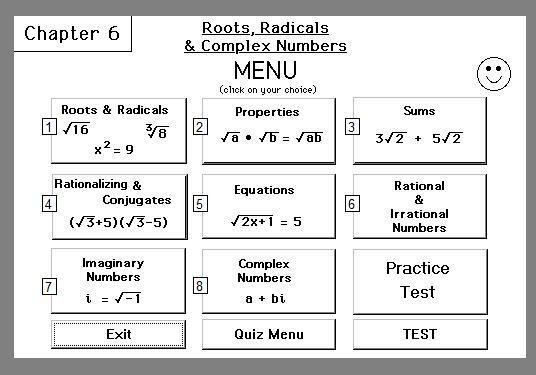 Follow the progression from simplifying square roots and radicals, through the properties of radicals and simplifying nth roots. 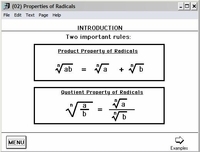 Practice sums of square roots and radicals. Learn to simplify binomials by rationalizing denominators. Apply FOIL (multiplication of binomials). 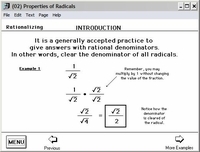 Practice solving radical equations. 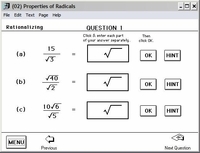 Each of the nine sections in this chapter provide instruction followed by interactive algebra practice problems with algebra solutions and lots of algebra help along the way. A thorough discussion and practice involving rational and irrational numbers is followed by an in-depth study of imaginary and complex numbers. 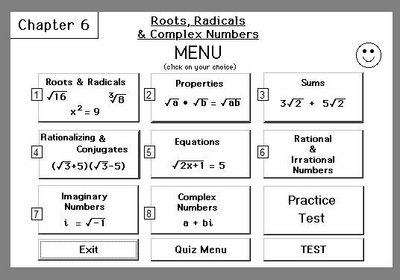 Topics in Algebra 1 are followed by the more advanced topics involving complex numbers usually reserved for Algebra 2 students. This algebra series is serious and comprehensive with the specific intent of preparing students for more advanced math and standardized tests. The student is actively involved in the learning process – from simple square roots to more advanced algebra problems. 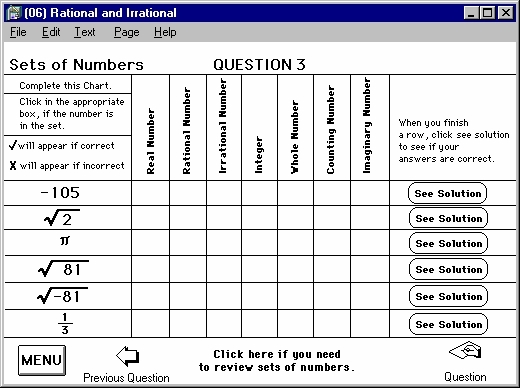 The problem solving section and test conclude this program.